Pale golden robe with green hints. Very aromatic with a dominating smell of acid fruits and a slight note of flowers. Rounded and fresh wine, well structured. Well balanced and harmonious wine, persistent. Serve all around of 8°C. Perfect with first courses and seafoods. The white wines are for 10% of the production. 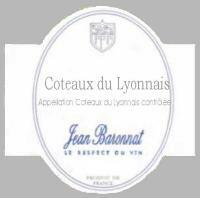 They give fruity wines which are obtained by l'addition of two authorized grapes : the chardonnay and l'aligoté.